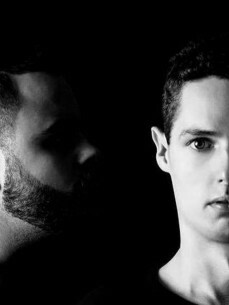 Shadow Movement, created by music producers Rafael Bartel and Raul Monteiro, was discovered by producer Ale Reis, being brought into the music scene through their EP "ID. ", released by the label D.O.C. created by acclaimed producer Gui Boratto. Shadow Movement, created by music producers Rafael Bartel and Raul Monteiro, was discovered by producer Ale Reis, being brought into the music scene through their EP "ID. ", released by the label D.O.C. created by acclaimed producer Gui Boratto, and reached a surprising top 5 positon at Beatport, world’s largest portal of electronic music sales. Thus obtained support of several renowned artists such as: Solomun, Hot Natured, Tale Of Us, Gui Boratto, Daniel Kuhnen, Michael Mayer, Maceo Plex, Stephan Bodzin, HOSH and the specialized press "..a very successful album that leaves you wanting more! .." -MixMag (Germany). Soon after the first EP "I.D. ", they recorded their second EP "Whales" that was announced in the 2014 festival ADE (Amsterdam Dance Event) on vinyl, in a limited edition, and will be the fourth release from the label D.O.C. The new album has two tracks: “Whales Part One” and its progression “Whales Part Two”. In 2014 they played in several clubs and festivals in Brazil, also being invited to participate in Gui Borattos new album tour “Abaporu”. They are currently preparing a third album which will be presented soon, along with the label showcases and events, including their first European tour.